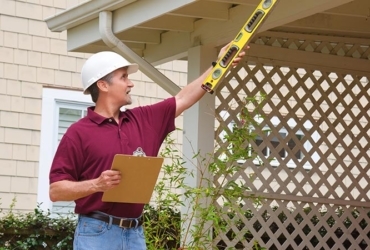 Are you looking to replace your current siding with a new, quality siding that will last? Look no further than James Hardie. While fiber cement remains the most durable form of siding, no one does fiber cement better than James Hardie. At Siding King, we understand the importance of your home. That’s why James Hardie siding is our product of choice. With over 60 years of experience in the industry, we provide you with a quality installation every time. James Hardie fiber cement products have been around since the early 1900s, giving the company time to enhance and perfect its siding. The fiber cement is comprised of cement, natural cellulose fibers and finely ground sand; it does not contain any asbestos, glass or formaldehyde, which makes it a safe product for the environment. But it is also extremely beneficial to your home. While vinyl can easily warp, and while wood expands and contracts based on the weather, James Hardie products are Engineered for Climate to resist all forms of weather damage. With the HardieZone system, you can find the exact siding your home needs, from a HZ5 product built for wet, frigid conditions to a HZ10 made for heat, humidity and sun. 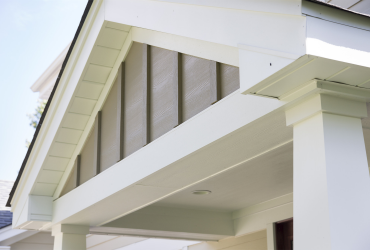 James Hardie siding comes in a variety of colors, styles and sizing options and is engineered to mimic the look of true wood grains, while the ColorPlus technology keeps paint from fading and chipping. The HardiePlank comes in 12-foot-long boards ranging 5¼ to 10¾ inches wide, while the HardiePanel comes in 4-foot-long panels 8 to 10 inches wide. The numerous options mean you can have the exterior appearance you’ve always dreamed about. 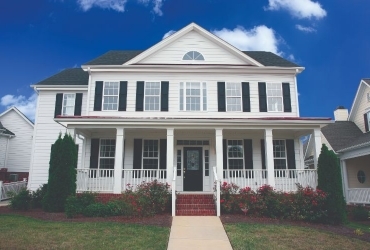 As a Nashville homeowner, look no further than Siding King for all of your home exterior needs. We are the only James Hardie Elite Preferred contractor in the area, meaning when you choose Siding King, you are choosing a quality installation with superior products every time. Making your home’s exterior beautiful and durable while increasing its value has never been so easy. Our greatest desire is to make you the king of a castle you can be proud of. With Siding King’s superior installation and James Hardie siding, you will have just that. Contact us today for your free estimate.